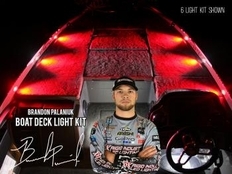 The Brandon Palaniuk Signature Series LED Boat Deck Light Kit by Rigid Industries is the perfect way to make your boat stand out from the crowd. 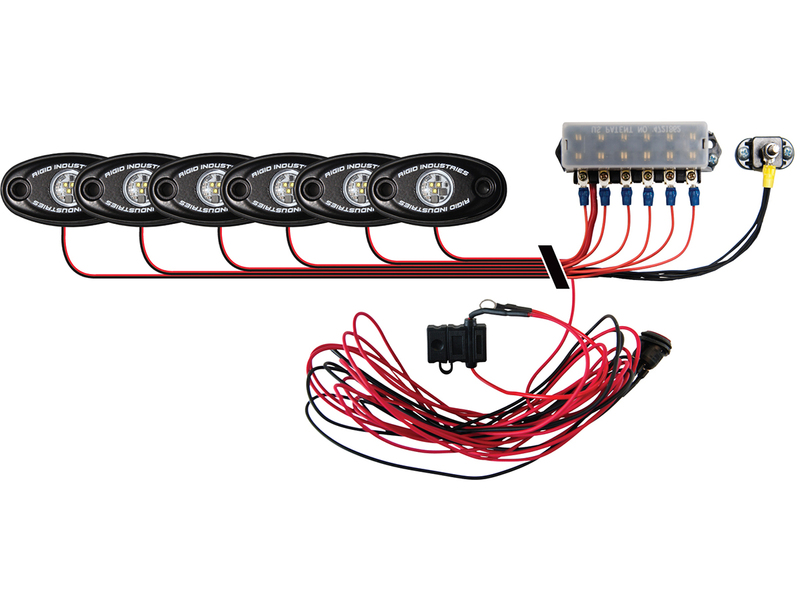 These ultra-bright LEDs bring your boat to life at night providing both visibility and an amazing custom look on the deck of your boat. Each of the included Rigid LED Deck Lights measures 3" long and 1.625 tall. They measure just under 1/2 an inch (including the foam mounting pad) deep. They are marine rated and protected by a polycarbonate lens, meaning they'll easily stand up to marine conditions. Each light comes with a 15' lead attached, so you'll have plenty of length to work with to get back to the included distribution block. A switch and fuse are also included in case you aren't wiring to an existing switch on your boat.